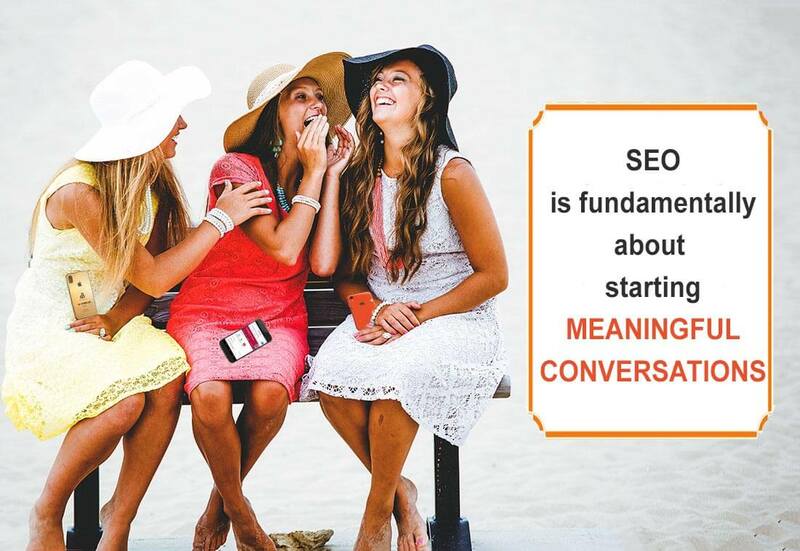 You’ll gain more benefits from your SEO with a long-term mindset; it takes a committment to being present in conversations to answer in-the-moment consumer questions. We use best practices for organic SEO: the first thing visible to your viewers should be welcoming and exciting on-page content. Will your website’s foundation pass the test of time? Search engine Optimization (SEO) has gurus testing a host of techniques, approaches, and strategies to help you increase visibility. On-page SEO is about optimizing the each page on your website to increase traffic and improve search engine ranking; it takes all aspect of the web page into account. On-page SEO is considered to be one of most important search engine optimization processes that command leading roles in achieving the top ranking position in the search engine results page or SERP. Many initially ask, “What is SEO?” On page SEO is not just about stuffing keywords in Meta title or Meta description section, it is more than that. It is about search intent and mapping individual buyer journeys’ correctly. In reality, on-page SEO is about assimilating keywords in the content, title or in the meta description section of websites so that your website gains visibility whenever visitors searches with that particular topic or term. It is simple: if you get more relevant traffic, you will start to grow your business and gain the ROI that is satisfying. The level of SEO knowledge varies greatly from every web developer, business owner, and agency. While partnering with all of them, sometimes our services are enlisted to train developers on the aspects of foundational SEO they often influence without realizing it. What this article seeks to address are the essential elements of SEO that all developers should be aware of at a minimum. We offer trainings to help webmasters utilize the Google Search Console for many SEO task. On page optimization is a foundational component of your overall winning SEO strategy. Implementation of SEO best practices begins with a focus on indexation, crawlability, user navigation, content buyers want, and document relevancy. It is important that all on page optimization is executed in a way that complies with current search guidelines. It will display your brand effectively while enhancing website usability and your customer’s experiences. Hill Web Marketing can collaborate with your in-house team and offer our consulting leadership services to optimize your website, or optimize your website directly. On page SEO is foundational for better rankings in earned search as well as for any profitable internet marketing campaign. Every campaign, regardless of the platform leveraged, starts from your website, such as running an AdWords campaign. It is true that a viewer may simply call your business line directly from an Ad, but typically, that occurs when the buyer is already familiar with your web presence. If your website is not optimized for both users and search engines, the likelihood of successful lead generation is minimized. Think of your on-page web optimization like you would the foundation of a new building you may purchase. If the foundation of the building is solid, moisture tight, and cannot shift or crack – then there is a good chance that whatever is built on top if it will last. Building foundations need to be on stable soils and made of the right materials. Your website’s on-page SEO is like the foundation for a home. It will prevent you from making costly mistakes that could destroy your SEO campaign in the future. Build your site’s SEO foundation on in demand contextual content blended with a solid UX design. There is practical logic in prioritizing on-page SEO in the beginning. Why not get it right from the get-go? It is the foundation of your online presence. Think of it – all your social media efforts, directory listings, news releases, how well the user experience works, and paid advertising point to your website. Well-optimized web pages will always be the rock bed of content that can expertly tell the world who you are. Attempting to persuade search engines to give your business higher visibility with off page SEO, typically involves more time and cost. Search engines are computer programs that understand a particular language, which is quickly advancing with structured data markup. If you want GoogleBot to index, crawl your website, and then send visitors, know that your on page foundational SEO has to be right. How your web pages are interlinked sends relevancy signals to search engines. By leveraging your most powerful pages judiciously in your on-page SEO strategy, you can help impact the capability of other pages on your site. You can benefit greatly from a professional approach to your SEO. A “tack-it-on” approach to adding new content often adds unseen challenges that can overtake your website in the long-run. Don’t skimp on the process of laying a solid foundation for your SEO strategy. One way to add trust to your pages and posts is to add facts and statistics and add Fact Check schema markup to prove your sources are valid. Websites must be fast in SERPs to win in SEO. By partnering together, we can get this done fast! Google wants to provide the most relevant information to the user in the fastest time possible. Individuals that work in SEO page close attention to how search algorithms keep ‘moving the goalposts’, updating the ‘rules’ and raising ‘quality standards’ for content that can compete for rewarding user experiences. UX web design professionals that contribute to a website getting fast results in search results give a ranking bonus. Google is revealing more about its ‘secret sauce’ and offers helpful insights even though it may seem like vague advice at times. In the end, user preference influences how to get more valuable web traffic. Users what relevant content served up fast in SERPs. Here is a clear answer direct from Google: “Get them to their answer faster and faster. So that there is almost a seamless connection between their thoughts and information needs, and the search results that they find. Our goal is to make it so much what you wanted and to fit so cleanly into the flow of what you are looking for that you almost don’t notice that it happened,” by Ben Gomos. More about how search works here. What you can see on your website – The visitors who see your page will want it to read well and respond happily to visually enticing images. This category includes everything that you or a viewer can see without a look at the source code. You may have stunning images and very compelling brand imagery, yet feel few come to visit. If that is the case, you must periscope your website from Google’s perspective, and then learn what areas need improvement. 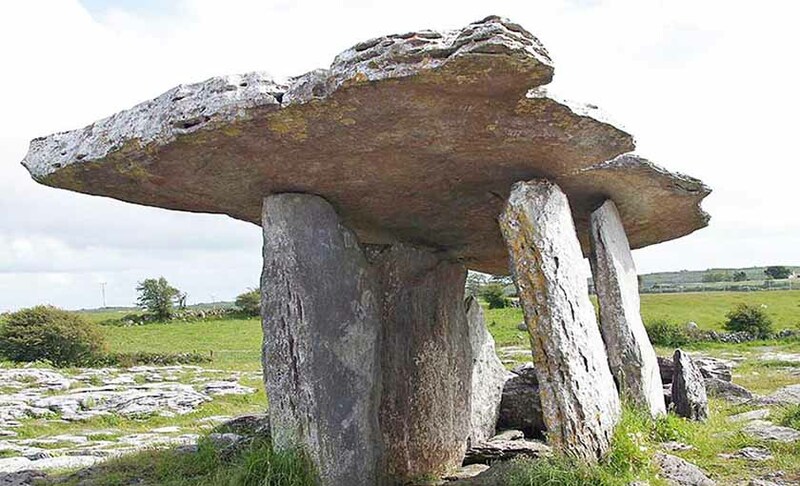 What you cannot see on your website – The foundation of your website is like underground tree roots. The eye seldom sees them, but the future and stability of the tree come from its roots. Similarly, on-page foundational SEO means ‘speaking’ or coding in the language that helps search engines understand what your website is about. Meaning that the more signals you can give search bots, the better your chances are of achieving higher web traffic. We often begin with assessing how well your Google My Business Listing is set-up. Invisible to the viewer, structured data paints a picture for the bots of what is on-page, so that they can reward the search query to matching content. It also must reflect visible content that readers see; making your SEO strategies more effective at meeting real user needs. What we term as “technical SEO” refers to any SEO tasks that are accomplished aside from visible web content. Essentially, it’s laying a better foundation that ensures your content has the best chance of visibility for relevant long-tail keywords and phrases. A primarily thought of any SEO expert when a client says “I’m redesigning my website”, is to investigate the website’s existing structure, metadata, history, and URLs to identifying exactly what should be changing and why. This can help you spot any problems areas, in addition to enabling your web developers to make the right changes. It’s important to understand how this foundational approach to SEO helps. * On-page SEO encompasses all the settings configured that affect your website. It comes first. * Off-page SEO includes all strategies and techniques you use everywhere else online. It comes after on-page optimization. First we conduct an in-depth study of your site’s current content to identify what is working for you and what needs to work better. Being organized and savvy with the site structure, which we’ll call “ information architecture”, or IA, will increase user interaction and make your website more intuitive to the way viewers find information. We’ll gain a clearer map of where viewers should best enter the site per your services or products. Ensuring you have the correct architect will make it easier for your customers to land on your business’s important information that answers their corresponding need. Even your favorite visual design can gain the benefits of a layout flow that enhances your brand identity and distinguishes you from your competitors. We research keywords and which semantic keyword phrases that are the best fit for your viewer personas and to the content on the website. Keywords are best used in a natural way that blends into the content of your web page without overdoing a certain limit that is established per keyword by your industry, competition, and additional factors. Our white hat optimized SEO work has never had a website get penalized by search engines. Hill Web Creations strictly complies with all up-to-date guidelines while caring for your on-page foundational SEO needs. For businesses needing local search optimization, we roll that strategy into your keywords. By building a foundation of solid SEO best practices, your digital marketing can achieve long-term online marketing success. After you build a strong foundation, and your business starts to win more online leads, you will be a great position to grow at an accelerated pace. You will want to get your full marketing team in the know about the importance of SEO to get your website on top in search engine rankings. It is easy for someone to think that adding tons of keywords is sufficient, while the truth is, that you may find yourself penalized for keyword stuffing. Your websites title tags, Meta descriptions, H1, H2 and H3 tags are basic to helping search engines know what is on each web page so they can send viewers there and answer their online queries. While you need fresh content, that content can be found easier by someone needing it if you optimize it with schema structured data. Better yet, we know how to help increase traffic to your pages. When it comes to Meta tags, your on-page foundatibe optimized so that it offers a great user experience across all devices. Foundational SEO is written to help search engines better service Internet users who search for your content. Your content needs to be easy to use, easy to understand, and answers real questions that are being asked. Then move on to adding industry identifying schema and client reviews with markup. Our on-page foundational services can tweak your content, with the help of our marketing service lines that fill in gaps in facts, reviews, and supporting evidence that benefits viewers add missing pieces of information that make their visit worthwhile. Tracking pixels aid in knowing what messaging viwers consume most often. We will establish an “optimized page grade” for each web page so you can visually see just how well our work improves your on-page content for findability. If you already have a great content writer on board, our on-page optimization services will assure you that you’ve hit the mark or add a few key tweaks to do. Theoretically, you could spend tons of time on optimized content and reach that coveted first page – just to learn that prospective buyers don’t find your content, products or topics valuable. We make sure that after the success of gaining viewers, you don’t just sound like a sales pitch. If you provide compelling content that viewers actually want, people will remember your brand and come back to you when they are ready to make a purchase. A great way to connect with people is to use short in-the-moment Google Posts content. We will refine, if needed, or create your self-hosted on-page image attributes to help drive traffic to your website. Your images can show in image search results if properly prepared before uploading and optimized for to add value to the page’s visitors. We’ll also double check how your images load when the web page is called. Your business benefits by knowing that the page images will actually remain in their intended spot in relation to the web page, otherwise your visitors will get a broken link icon. This slows your page speed and diminishes your web page integrity. We can help you leverage breakthrough and up-to-date predictive analytics for your business for predicting which leads are most likely to qualify contact and close. Hill Web Marketing provides applied predictive analytics using advanced learning of Google algorithms to analyze your data. We provide top-level recommendations to improve your sales digital marketing messages and process. The content on your website should have correctly formatted title tags and Meta descriptions – but you can optimize your site much better than that. Creating rich media content like item lists, video, products, services and more makes it easier to get your content to rank. Gaining the first-page advantage in earned search moves forward faster with rich snippets versus when you try getting a plain text page to rank. Attending to this area of SEO can produce visible rich snippets in SERPs. If you want to know what updates to your website will offer impact that is both immediate and long-term, little is more fundamental than the pillars of on-page SEO. To rank higher with search engines, continually add consistent quality content that your viewers want and that has fundamental SEO best practices in place. Results are gained fastest when you start with foundational SEO at the conception of your web design. You cannot expect to rank at the top of Google search results without adhering to practices that are requested to help bot crawlers do just that. Agreed, misconceptions about SEO abound and it is challenging to know just where to begin and build. We strive to keep current and love the results we are able to prove up after engaged. If you have just completed your first website or redesigned your site, it is not too late to engage SEO. A site audit will determine many aspects of what is working as well as what needs to be fixed in order to do SEO effectively. You do not have to scrap your new website and start over. It may be a greater expense in terms of time and money that you might have avoided had an SEO professional been involved at the beginning of your project, rather than now. In truth, SEO should begin and bookend any changes to the UX/web design/ and update processes. In addition to the above SEO guidelines, determining a website’s standing with a comprehensive SEO site audit is a great way to discover potentially risky SEO issues. Once complete and recommendations are implemented, you can move forward with confidently, knowing that your website is foundationally optimized and ready to stand out on a crowded web! As schema structured data comes into a larger SEO role, make sure you are rolling it into your SEO planning. Whether you are a small business owner or busy owning a large firm, most individuals simply do not have the time to deal with website optimization. Your time is better spent on doing what you love and do best. By engaging the services of a trusted SEO agency to do the work on your behalf; it is more likely to get done correctly and efficiently. We offer a great range of SEO packages, with options suitable for any business, customized to your own wants and requirements and at competitive prices. To win in digital marketing, once your foundational SEO errors are fixed with a technical SEO audit that identifies them, prepare yourself for the long-haul and be willing to invest in on-going optimization. A business that goes about doing it right will be rewarded for their patience. SEO is more about diligence than about being so hard. If you are short of dedicated help to tackle the work needed, spread your efforts out over a few months. Remember, organic search in a long-term approach to enhancing your site attributes to get found online faster versus paid search offers immediate results. It is best to combine both. Remember, most organic SEO tasks require time to before you see results. Plan ahead so that you give the search engines sufficient time, possibly one or two months, to fully propagate your new achievements and you have built trust with them. When you have a healthy site, you can more easily encourage inbound links from authoritative websites to your homepage as well as to related content. Improve your website’s search engine optimization. Let us manage a deep, fast and comprehensive analysis. We will help your website be crawlable at any time and give you custom reports with fresh results. Call to improve your website’s health and monitor it regularly. We use WC3 SEO compliant tools as established by Harvard. Let us know if you want to increase traffic to your website using our transparent, tried and tested on-page foundational SEO services. You may want to begin with a better understanding of… “What SEO Is”.